You cannot beat the location! We are sure of that. 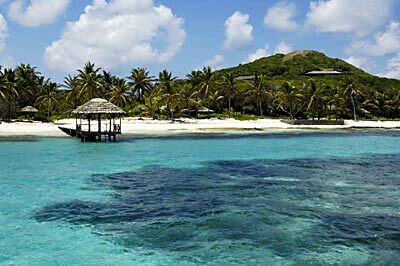 The Grenadines are a host of small islands grouped together on a brilliant turquoise sea. 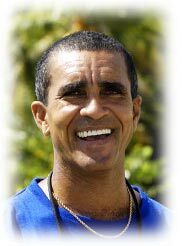 Our base in Union Island is in the center of the group of reef fringed sandy islands. They are visible in almost every direction and we can reach them in a few minutes in our high speed dive boats. Beaches are spectacular; after dive activities are low key. The islands are dotted with friendly bars. There are many small restaurants and once or twice a week a band is likely to put on a show in one of the local hotels. Reefs flourish everywhere. In addition to the ones you see there are many others. 30 to 40 feet deep. Most reefs are surrounded by white sand which catches the sunlight and makes the underwater colors bright and clear, with panoramas that barely fade in the distance. 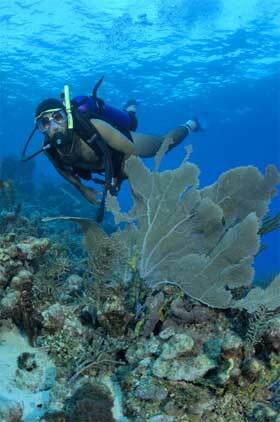 Most of our dives are relaxing and easy but we have some adventurous dives, too. One is a volcanic valley, 90 feet deep, where the seabed continually bubbles, releasing gases from deep in the earth. We can find accommodations to suit your style and budget. These unspoiled islands are far from chain hotels. Instead you can choose among a refreshingly wide variety of charming and distinctive establishments to suit all tastes. These are dotted around our island group. 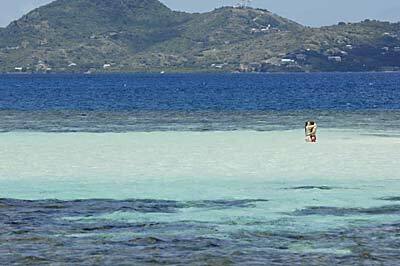 Some like to stay on Petit St. Vincent or Palm Island -- both resorts on their own private islands. 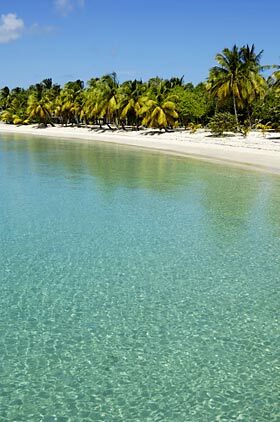 Other choose among the excellent hotels and guest houses on Union Island or Mayreau. No matter where you stay in the Grendines, you're sure to enjoy the genuine hospitality of our friendly people and have a memorable vacation on our tropical shores.